Why Do 18 Wheeler Accident Lawsuits Settle For More Than Regular Auto Accidents? 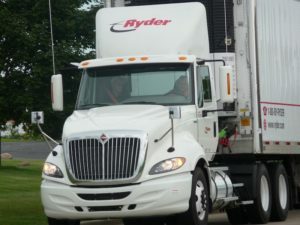 Home > Blog > Do 18-Wheeler Accident Lawsuits Settle For More? Do 18-Wheeler Accident Lawsuits Settle For More? The sad truth is that many cases have more value than the amount of available insurance (which is a minimum required amount of only $25,000 in Arkansas). But, commercial trucks are required by the Federal Motor Carrier Safety Administration (FMCSA) to carry at least $750,000 in liability insurance. Plus, trucking companies usually have to purchase additional insurance in order to protect the assets of the company from being taken to pay a judgment debt. So, … typically, an 18-wheeler accident will result in a larger settlement than a car accident. In addition, the injuries in a truck collision are generally greater. This is because the weight of truck multiplied by the speed yields a much greater force than is found in a collision involving vehicles others than large trucks. A passenger vehicle generally weighs 3,000 to 6,000 pounds. A loaded semi-tractor with trailer can weigh up to 80,000 pounds. This variance is so wide that the passenger vehicle cannot withstand the force imposed by the large truck and it crumples to the point that the occupants are significantly injured, even at lower collision speeds. Greater injury plus more liability insurance coverage translates to more money being available for settlements of claims involving 18-wheelers. While not common, Rainwater, Holt & Sexton has been involved in suing trucking companies with drivers who were found to have been likely driving under the influence of drugs. The United States Department of Transportation estimates that over 500,000 truck accidents occur every year. If you’ve been harmed in a truck accident, know that you could be owed substantial compensation from a settlement. Truck accident lawsuits are complicated. If we can help you, call Rainwater, Holt & Sexton to talk to a truck accident attorney.